Well, it’s quite deceiving to say that the legendary Studio Ghibli is returning but it’s not completely false as we are getting Studio Ponoc in its place. Studio Ponoc is created by the former Studio Ghibli producer Yoshiaki Nishimura. 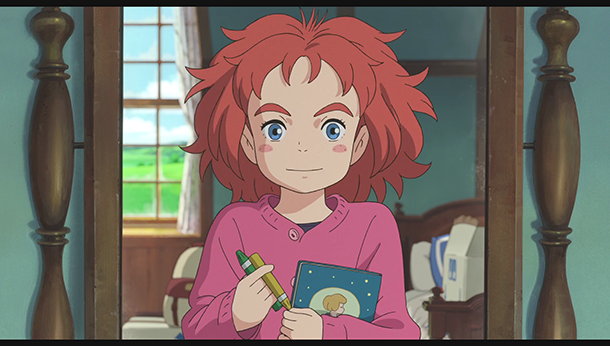 Studio Ponoc released the first teaser to its debut feature film Mary and the Witch’s Flower. Check out the English trailer above. Mary and the Witch’s Flower is being directed by Hiromasa Yonebayashi who has previously worked on other Studio Ghibli projects like Arrietty and When Marnie Was There. The script is written by Riko Sakaguchi who also penned the script for The Tale of the Princess Kaguya which got nominated for Academy Awards. Many more Studio Ghibli staff are working on this new project thus making it feel like another Studio Ghibli movie. The story of the movie will be based on the book, The Little Broomstick by Mary Stewart. The plot will revolve around a little girl named Mary who finds a magical broomstick which takes her on a mystical adventure to fight evil. The release of Mary and the Witch’s Flower next year would be a sigh of relief for Ghibli fans. Studio Ghibli back in 2014 announced that they would be halting production of new animated feature films when director Hayao Miyazaki announced his retirement. Hayao Miyazaki was the co-founder of Studio Ghibli along with Isao Takahata. Studio Ghibli has been the biggest animation film studio of Japan. It has produced back to back critically acclaimed hits and eight of their films come under highest-grossing anime films of Japan. 5 of their films have been nominated for Academy Award for best-animated feature film and one of them has even won it. Let’s hope Studio Ponoc continues the legacy of Ghibli by bringing to us more quality anime films. Mary and the Witch’s Flower release date has not been announced yet but it will be releasing in summer 2017 sometime.